– Transfer your frozen jackfruit in a bowl and place in another bowl of hot water for 5 to 10 minutes or until it has defrosted. – Place contents into a saucepan or pot. Cover and heat to boiling over medium heat, stirring frequently; boil 1 minute to make sure it’s fully heated, stirring frequently. 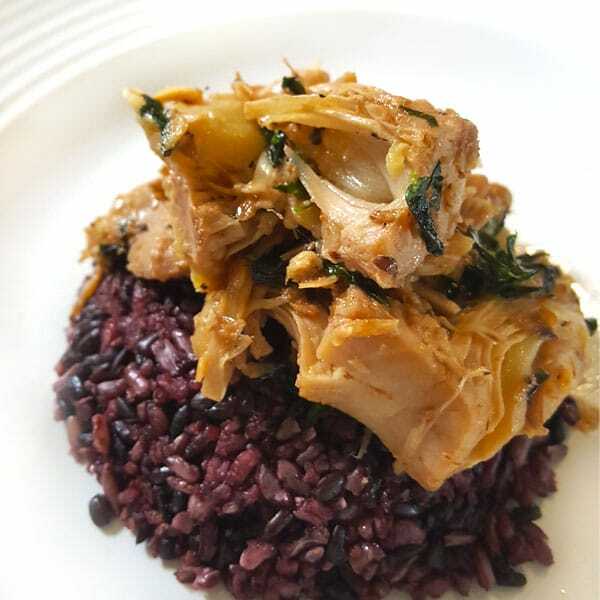 A fantastic rendition of an old Filipino recipe, this hearty and flavorful dish is made from young jackfruit stewed in coconut milk, moringa and spices. Perfect on a bed of hot steaming rice, quinoa, or enjoyed with our Knekkebrod seed crackers. Bebo’s Conversation Cuisine is hearty, comfort, whole food cooked to order. We use organic and all natural ingredients from The Green Grocer, without the use of any preservatives or additives. Enjoy great dishes for the family, or for dinners with friends, without slaving over the hot stove.